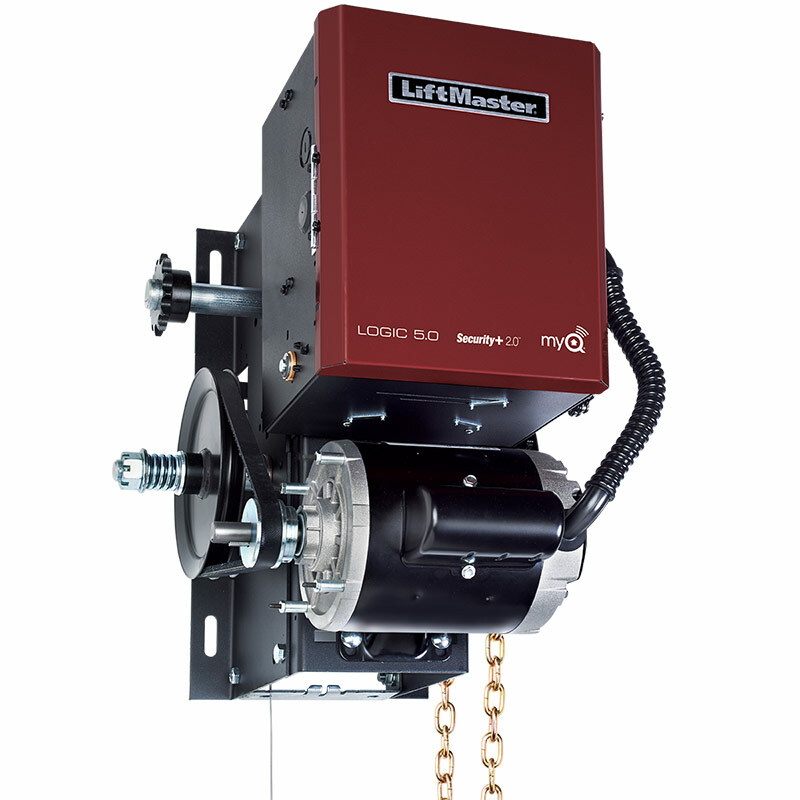 Hoist (H) style commercial door operators are optimal for industrial applications. H-style operators include a floor level chain hoist to ease manual operation in an emergency or power outage. The operators are typically mounted to the wall when used with larger sectional overhead doors with vertical or high lift and mounted to the wall or the front of the hood when used with rolling doors and grilles. H operators are attached to the door jackshaft to indirectly drive the door. for greater peace of mind. Security+ 2.0TM safeguards your facility – with every click, a new code is sent to the commercial door operator so the door opens only for you.